at least an hour after kitchen closes . There is street parking as well as public parking under the Atlantic Plumbing building. 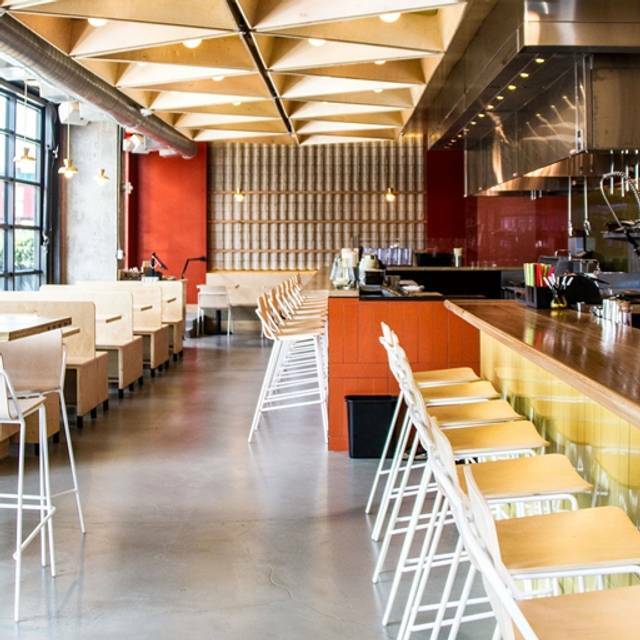 Haikan is our second Sapporo Ramen shop in DC after Daikaya. Haikan means, “pipe works” in Japanese, an ode to Atlantic Plumbing Building where we are located. At Haikan, we focused on creating the taste of ramen from the showa period, the golden age of ramen in Japan. 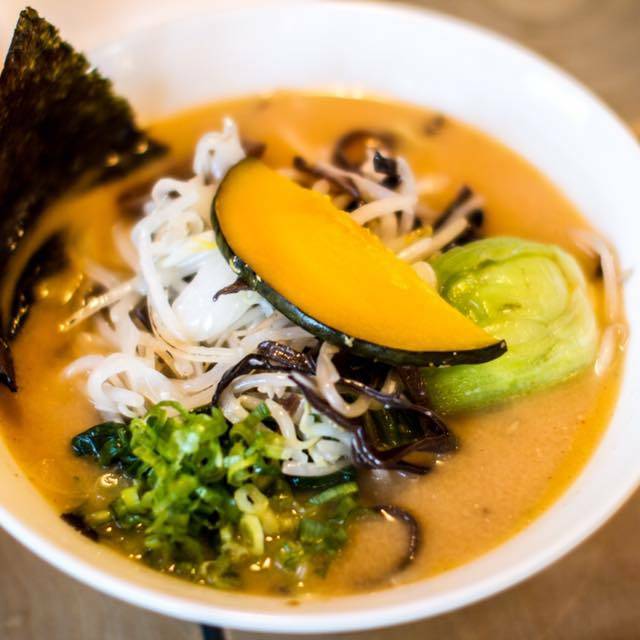 There are over 1000 ramen shops in the city of Sapporo alone, and we are excited to share a completely new line-up of traditional Sapporo style ramen in DC. 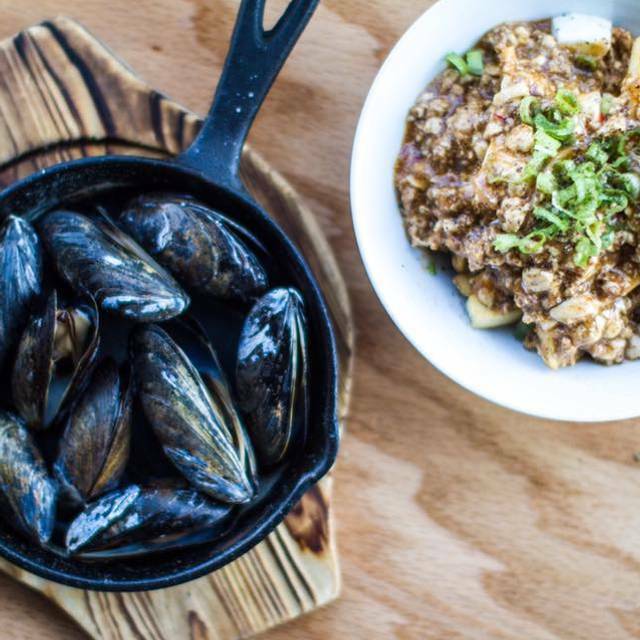 In addition to ramen, we are serving a playful selection of Japanese-inspired kozara (small plates) to share, or to start with, or to make a whole meal of by picking a few of them. Haikan's bar serves a collection of Japanese-inspired cocktails, and a concentrated selection of Japanese sake, shochu, beer, whisky, and more. Sit at the bar/counter - the Shio ramen is excellent. Had dinner with a close friend with our two four year olds. The food was great, and they even had simpler fare for the kids. The service was patient and attentive, even when our kids started dancing in the walkway. First time ramen eater and it was amazing!!!! Really good ramen! 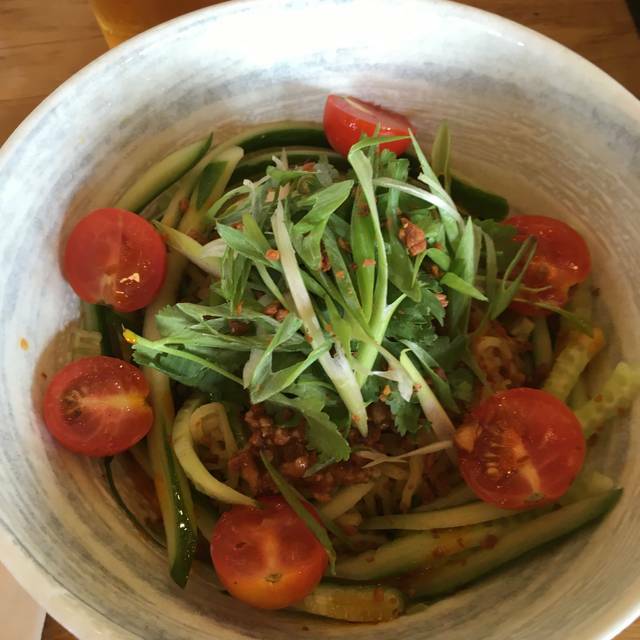 The spicy vegetable ramen was phenomenal. Really interesting side dishes as well! Ate here prior to a show at the 930 Club.. easy, convenient,and delicious! My boyfriend and I decided to get dinnwr here before a show and it was absolutely amazing! The prices are good. The food is pretty good. We had the wings and crab Rangoon. 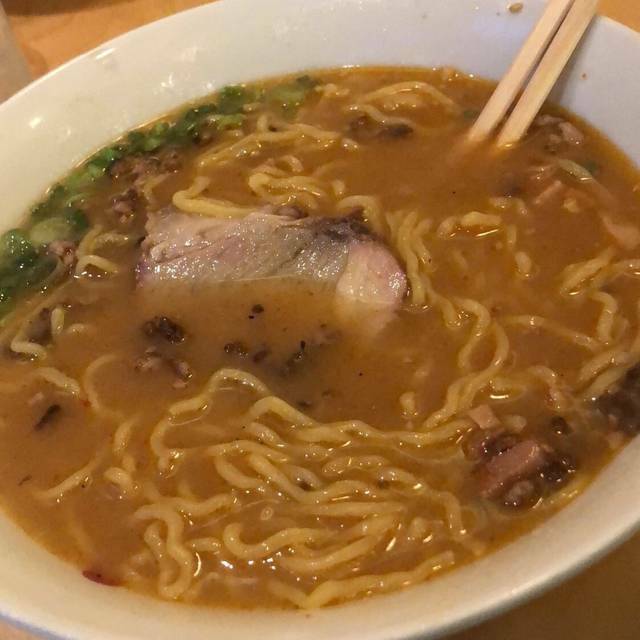 We also had the Shoyu ramen ...it was just ok. This was my first time trying ramen. I’ll try a different variety next time. First - we were 1/2 hour early and were able to get seated! It was our second trip and the food and service were as good as the first. Tried the house-made ginger beer, an excellent nonalcoholic choice (yhe bartender jokingly offered to add a shot of vodka LOL). I opted to try a veggie ramen and it was just as tasty as the meat based ones. The brith was full flavored, with both and mushrooms adding depth. I don't seek out dishes with hominy, but the hominy here added a little extra heft. Filling and good for the soul. The service is always top notch and the flavours bang on. I love this place anytime of the year! My second rodeo at Haikan before a show at 9:30 Club down the block was almost as good as the first - I'm a bit of a ramen snob, but the sizable tasty bowls at Haikan don't disappoint, nor do the 32 oz beers they serve in a stein worthy of Oktoberfest that you can swim in if you don't feel like drinking. It's bright and trendy inside, and typically overcrowded for a not-so-large space, so be smart like me and make a reservation well in advance. Looks like their takeout game is strong, as well, as I witnessed about a dozen oversized bags ready for consumption by the front counter. The staff is friendly. The food was very good. I am not a huge ramen fan but I loved this place. I will definitely be back. We were there for the girls day celebration with our student from Japan...and we all loved it. She confirmed that the food was aligned with girls day celebration and it made her feel connected to home and us connected to Japanese traditions. So fun. Thanks. Will always love this place ! I never write reviews but I must command Haikan on their superior management skills. We had reservation for 8pm unfortunately due to unforeseen circumstances which were not really the restaurant's fault we got seated at 8:30pm instead. Throughout our wait the manager kept updating us and apologizing and asked us for our dietary restrictions because he would bring us some appetizers. As we waited the bartender also gave us a free drink and when we sat down they brought us 6 free appetizers!! For 3 of us!! I mean, they were just overall so nice and thoughtful. They have a customer for life that's for sure. It also helps that the food is always delicious. The avocado appetizer was out of this world, i don't think I would have ever tried it if they had not brought it to us. I ordered the vegetable ramen and had the “it’s always sunny” adult beverage. The ramen was yummy and my drink was refreshing. Loved everything. This was my first time at Haikan and I’ll definitely be back. Delicious 100% vegetarian ramen option. Perfect, balanced broth and tasty, springy noodles. The grilled avocado was great too. Ramen wasn’t freshly made. Too American for a Japanese ramen restaurant. They were even playing Hispanic music. Excellent ramen. 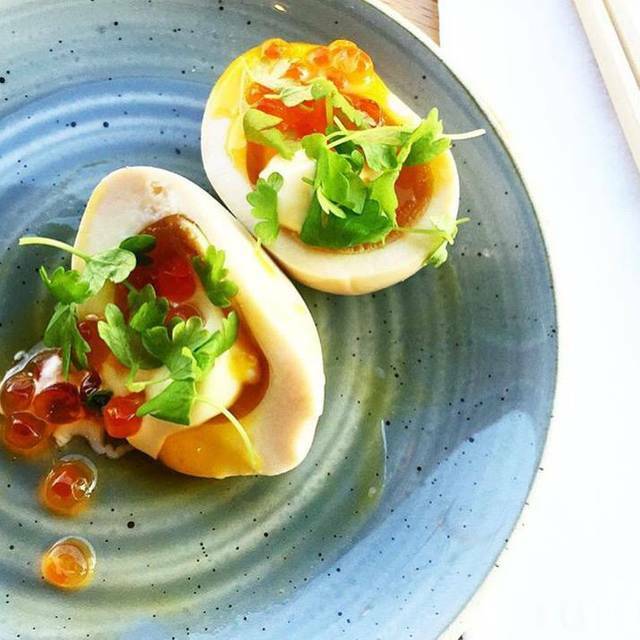 The deviled eggs are also fantastic. 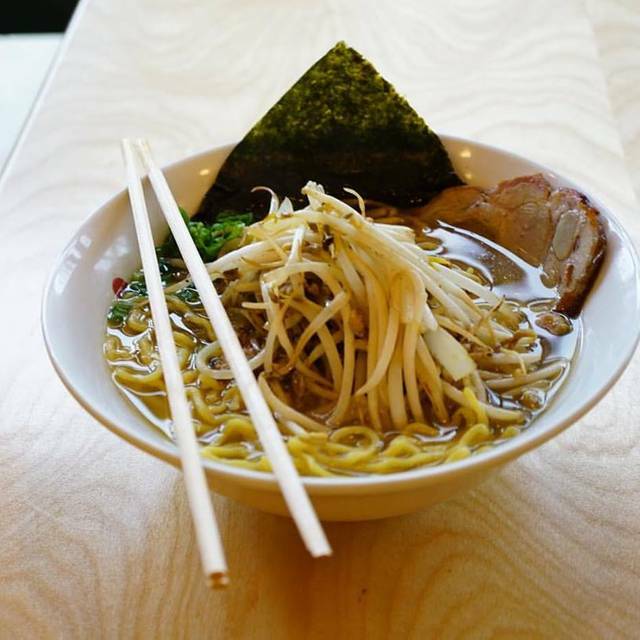 Owners are the people behind Dakaiya, so you can expect amazing ramen. As always, the food was amazing. Our service this time wasn’t the best. Decent Ramen but really loud and crowded. Everyone was yelling to be heard. I felt my age, 42. It's also funny that part of the restaurant is built around the "kitchen" when it's just guys dunking noodles in hot water. Of course it's done that way in Japan but that's because of lack of space. Service and food were top notch! Food was pretty good. Biggest problem is that there’s NO heating in this restaurant. Everyone was freezing, there wasn’t one person in the entire restaurant wasn’t wearing their coats. Apps came out but was cold pretty quickly. The “grilled” avocado ended up just being cold avocado served with salt and lemon! Ramen very tasty. Keep in mind all broth is beef,pork and chicken based so if you don’t eat any of those you have to get the vegi ramen bowl... which was very good! Also music blasting and pretty loud. Acoustics aren’t great so really felt like we were yelling most of the time. Restaurant has lots of potential because the food is good but needs some help in the ambiance department! Overall really enjoyed ramen (veggie), apps (wings), but restaurant is interested in maximizing customers so we did feel a little rushed, reason for 3 vs 4 star review on service. Service was super friendly and attentive in the front of the house, and the creative drinks and delicious ramen were on point - totally the reason we visited after seeing a movie matinee with friends. Two issues: it is very drafty at the high top table by the door (a negative in winter), and one order with a request for “1/2 noodles” arrived with basically “2x noodles.” Still very happy with the experience and will return! The squash dish small plate was so so so good. I have been thinking about it since I had it. I CANNOT WAIT TO COME BACK!!! The food was amazing!!!!! Great time! A few more veggies options would have been nice. 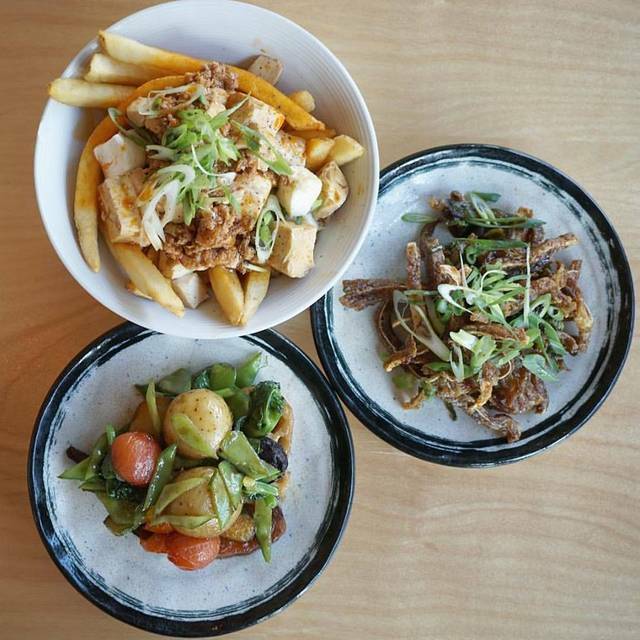 Excellent, Healthy, Comfort Food - super welcoming, great vibe, delicious and healthy! 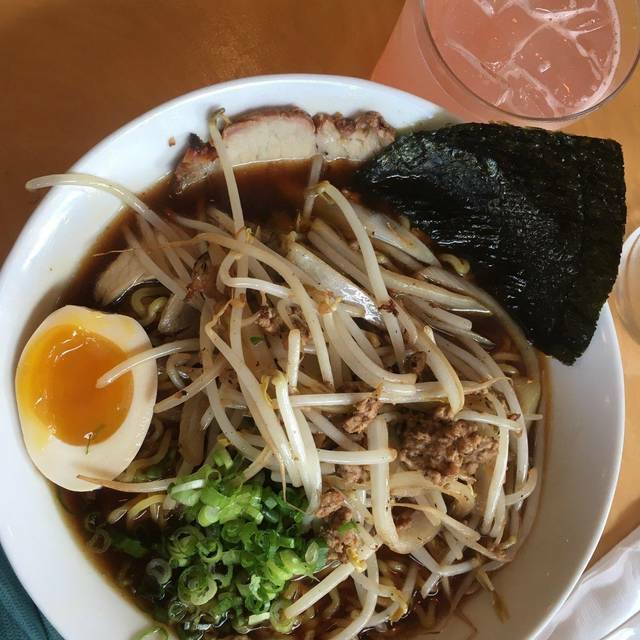 Excellent ramen at very reasonable prices in a really great space!